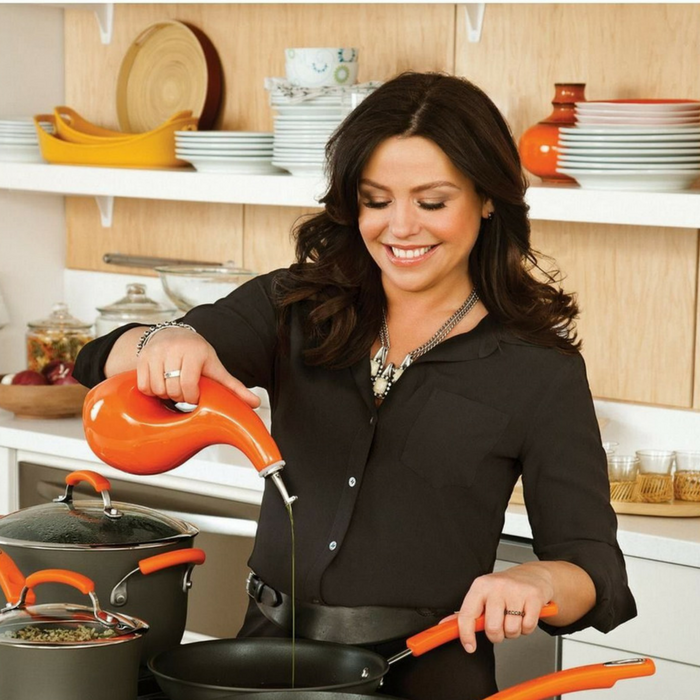 Rachael Ray Oil Dispensing Bottle Just $12.99! Down From $34! You are here: Home / Great Deals / Amazon Deals / Rachael Ray Oil Dispensing Bottle Just $12.99! Down From $34! Drizzle buttery, nutty olive oils on warm, crusty breads and other delicious foods using the Rachael Ray Stoneware EVOO Dispensing Bottle which is currently on sale at Amazon for just $12.99 down from $34! Get FREE shipping with Amazon Prime or for orders over $25!